Tickets for Storm’s upcoming games this weekend against Cardiff Devils AND Belfast Giants can be ordered online HERE, by calling the box office on 0161 926 8782, or in person at the box office. 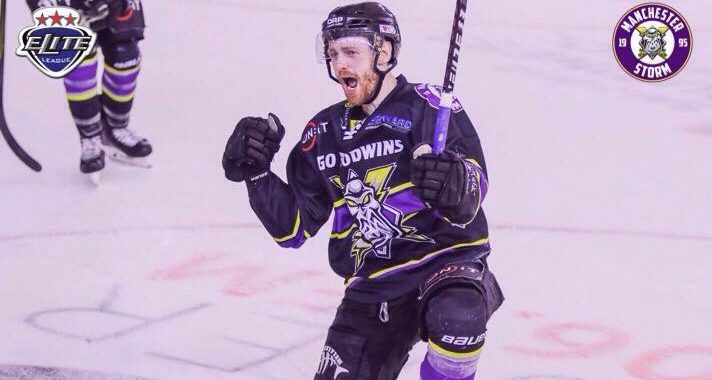 Your Go Goodwins Manchester Storm faced Nottingham Panthers and Glasgow Clan last weekend, and skated off the ice with a four point weekend! Saturday evening saw the Storm face Panthers for the second time in one week – this time in EIHL action. They were as determined as ever to prove themselves and fight hard to get a win following Tuesdays Challenge Cup Quarter Final results. Both teams took one point and went into overtime. 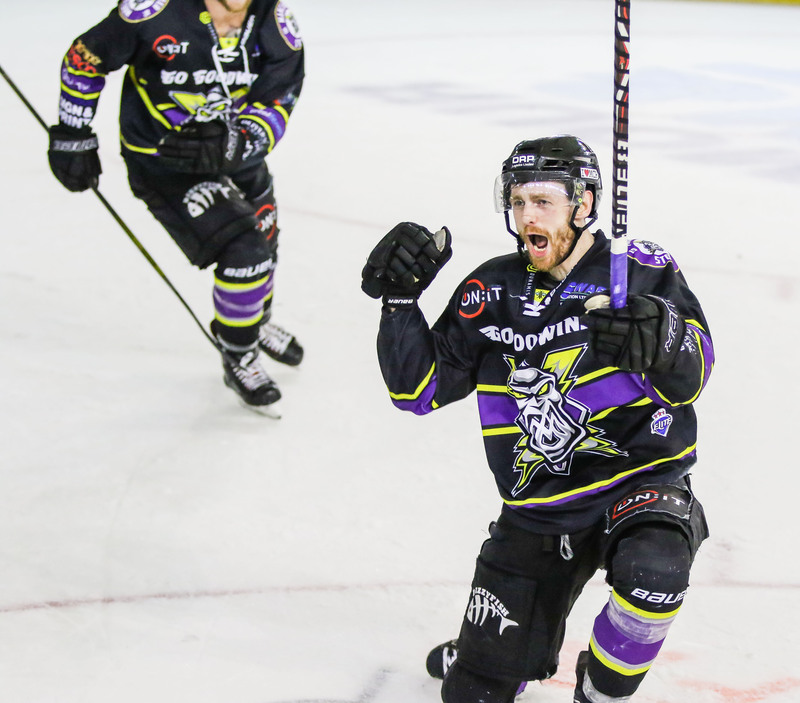 However, it was the EIHL’s British points leader – Ciaran Long, who scored the game winning goal and Storm the victory. Other goals came from Luke Moffatt and newly signed, Chance Braid! Sunday saw the Storm boys take the trip up north to Glasgow to face Clan for the first time away this season. The game went in their favour as they pushed for another two points, taking the win 4-2! Goals came from Shane Bakker, two from Evan Richardson and the final from Félix-Antoine Poulin. This weekend the club host two very special campaigns. The Storm will host their annual Teddy Bear Toss. On Wednesday 19th December, the team will donate the teddy bears to Royal Manchester Children’s Hospital. Make sure you bring a brand new teddy bear wrapped up in cling film due to infection control. Join us in the Storm Shelter for a 17:30 face-off, as the club run a Hockey Fights Homelessness campaign. The Storm are teaming up with housing and homelessness Charity – Shelter. Bring an item of clothing you no longer want or wear, in order to help those less fortunate this Christmas. It can be anything from a hat and scarf, to hygiene and sanitary products. We will have collection bins around the rink for those wanting to donate. 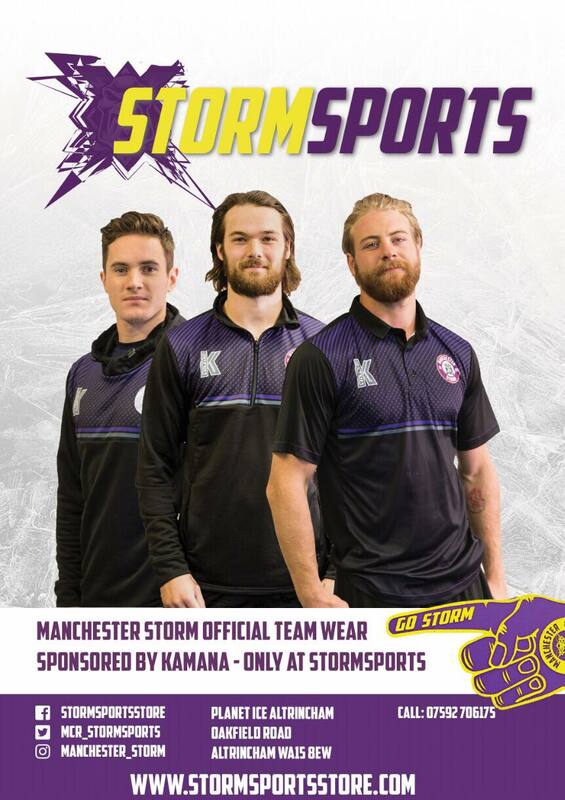 There are a few of the Storm players Own & Loans available here, Why not grab yourself newly signed Chance Braid’s home, away or warm-up jersey while you still can? Now’s the chance to support your favourite players, and receive the jersey at the end of the season!